Energen offers Parts & Service to South Carolina Pressure Washing Companies. Energen Carolina is the lowcountry’s leading distributor of Industrial Cleaning Equipment, Chemicals, Parts & Accessories. We specialize in Pressure Washers, Surface Cleaners, Carpet Cleaners, Part Cabinets, Heaters and more. Looking to get started in the industry? We can help you find or build your perfect setup! Needing parts or a quick-fix? We’ve got you covered. Can’t make it by the shop? We Deliver locally for only $10! We even offer both Hot and Cold Water Pressure Washer, and Surface Cleaner Rentals at low daily and weekly rates. Our commitment to each one of our customers’ needs will always be our top priority. For over 40 years we have been supplying the lowcountry with high-strength cleaning chemicals and supplies, and we hope to make it 40 more. Energen of Carolina is South Carolina’s only authorized Hydro-Tek Distributor. 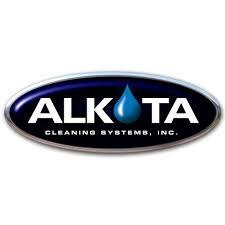 We also carry brands like Alkota, BE Pressure Supply, PSI, and Delco. We offer full servicing and maintenance on all machines purchased from Energen, and are always here to answer any questions you have about your products. We are located at 834 Dupont Rd. Charleston, SC 29407, and our office number is 843-556-6506. Feel free to call or stop by the shop anytime between 8-5 Mon-Fri.
“We couldn't get though one single day without you guys!! We appreciate the service you provide and the excellent and friendly way you do it!!!" An absolute necessity for any wash pro. Great staff. The service manager Curtis is second to none. It's no small feat finding honesty, expertise & professionalism at a retail/repair shop of any kind. Thanks Energen of the Carolinas! You guys rock! Our exclusive distributor for the Charleston area is Energen of Carolina. They are one of the best master distributors in the country and have been in business for over 39 years. They can assist you with any question regarding high pressure washers and accessories and assure you have the right machine for your application. If you have any questions, I know Lance or Susan with Energen can answer them for you. “Thank you for all you do for our business!"